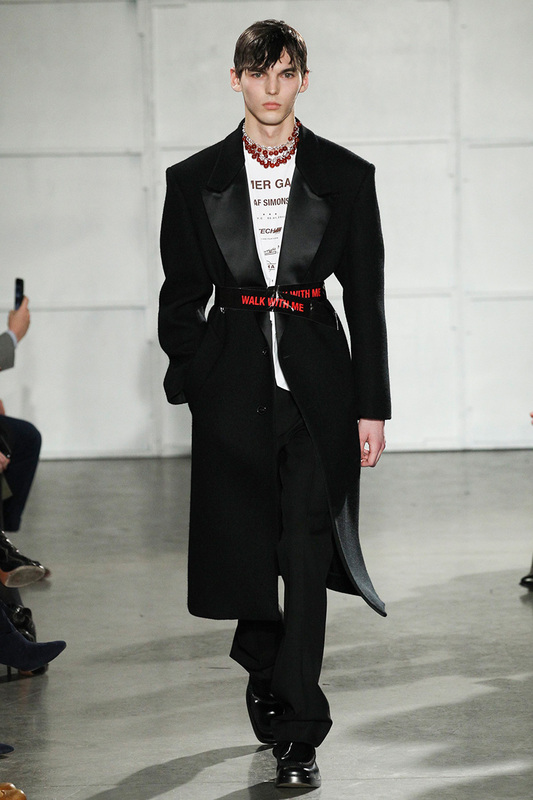 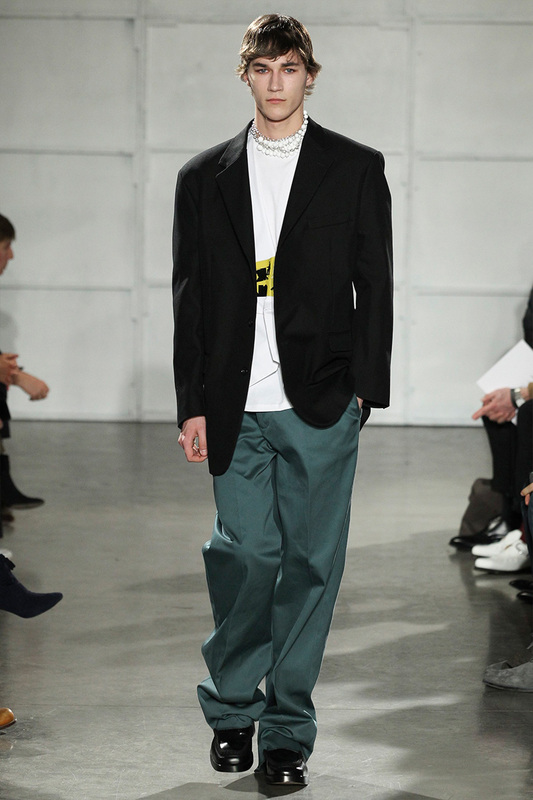 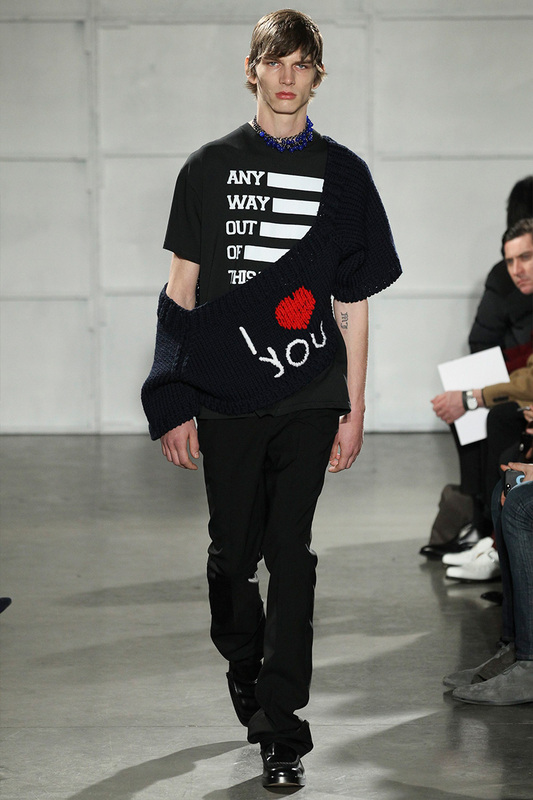 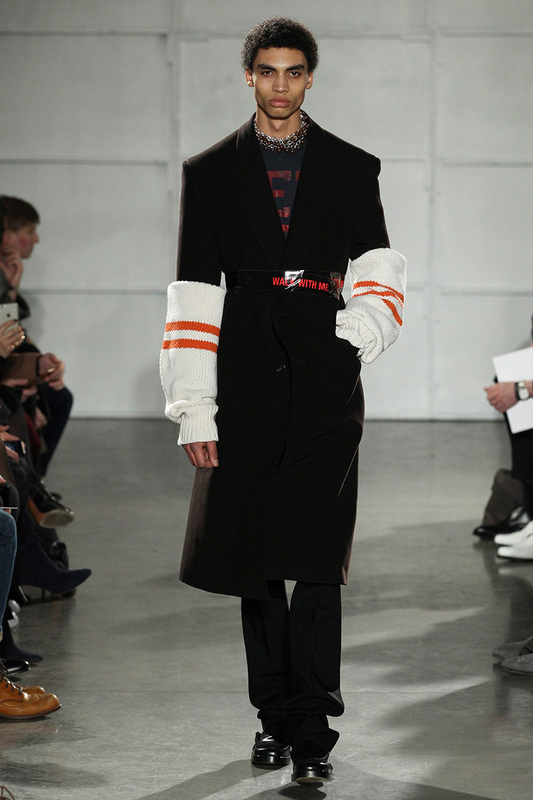 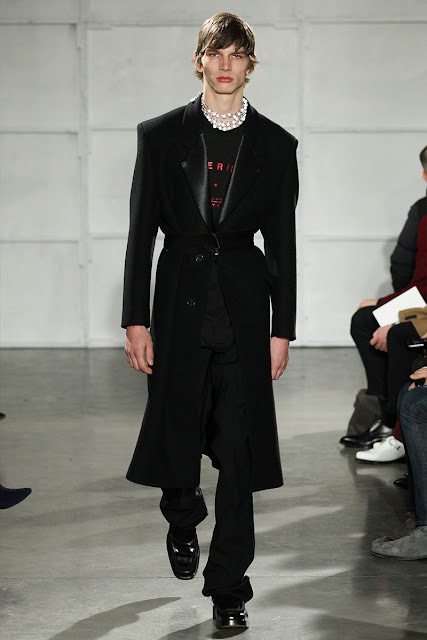 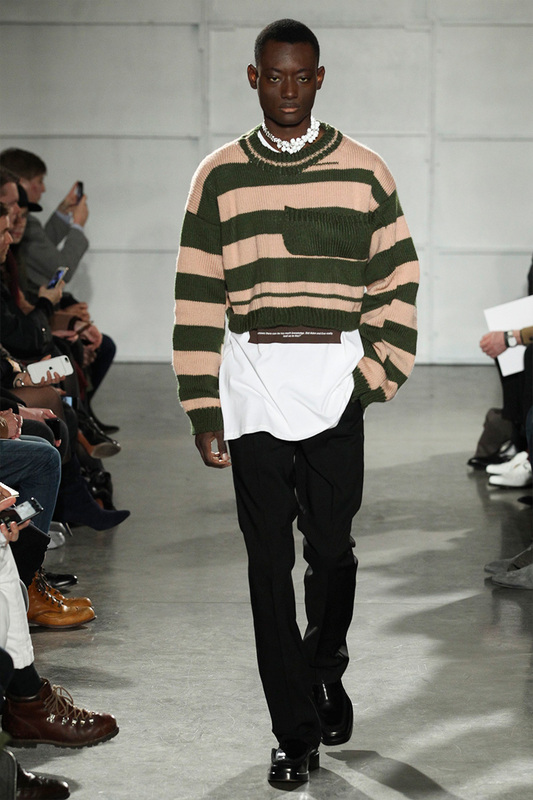 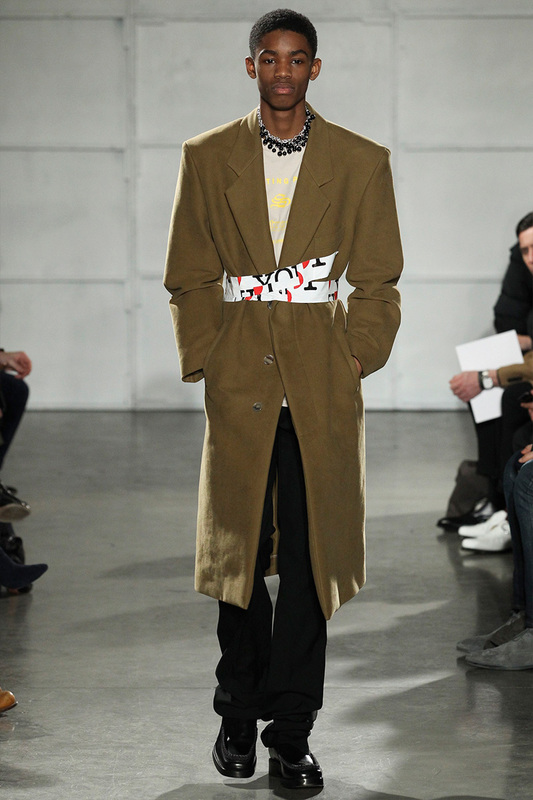 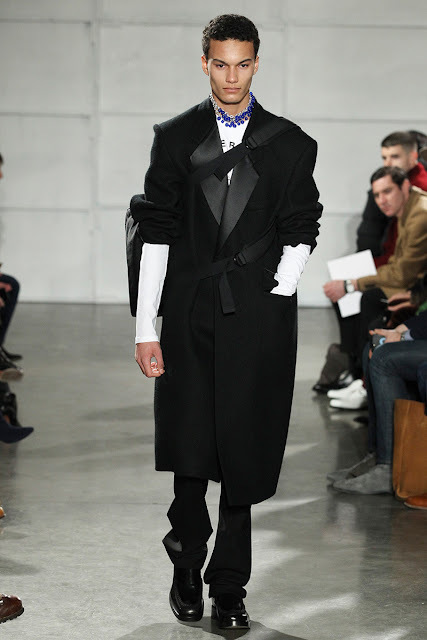 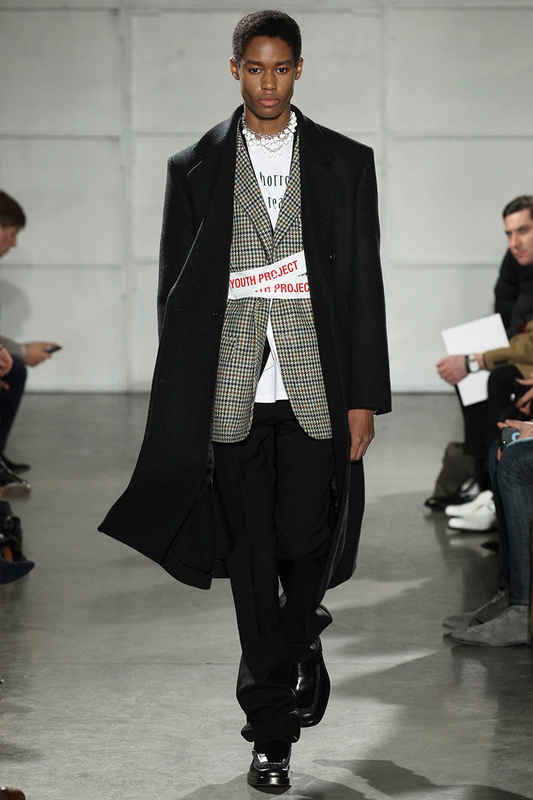 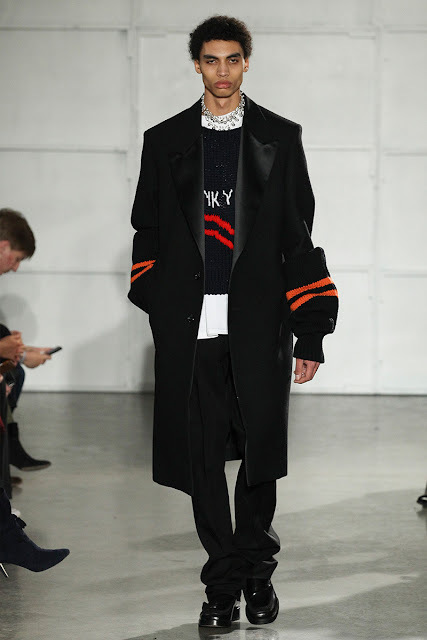 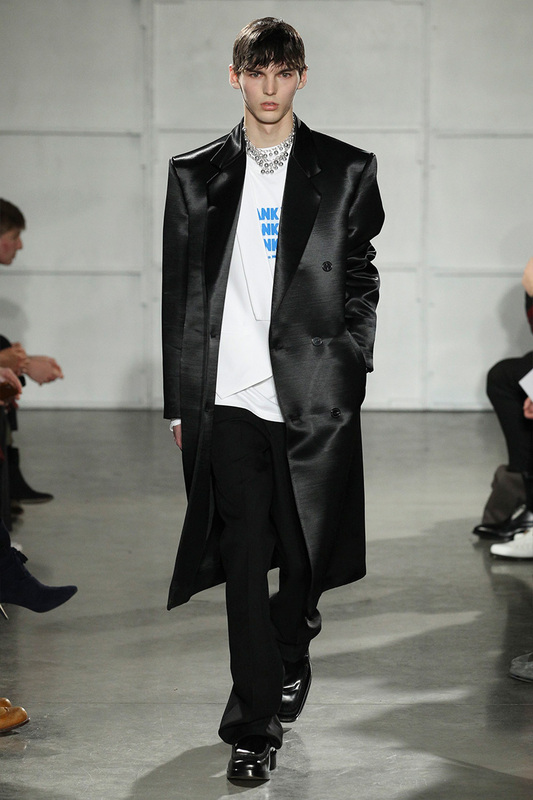 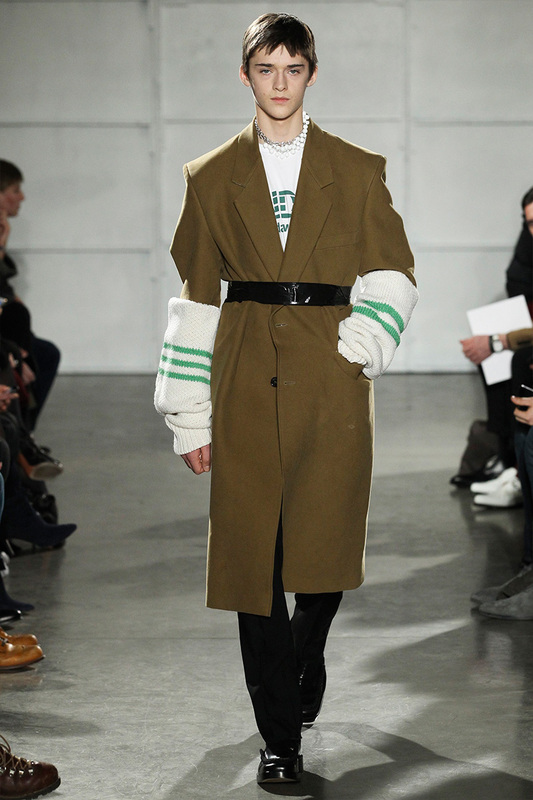 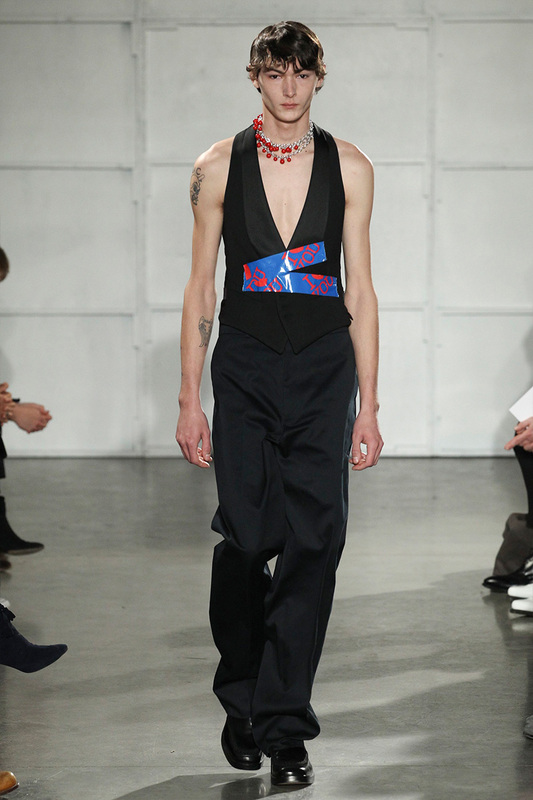 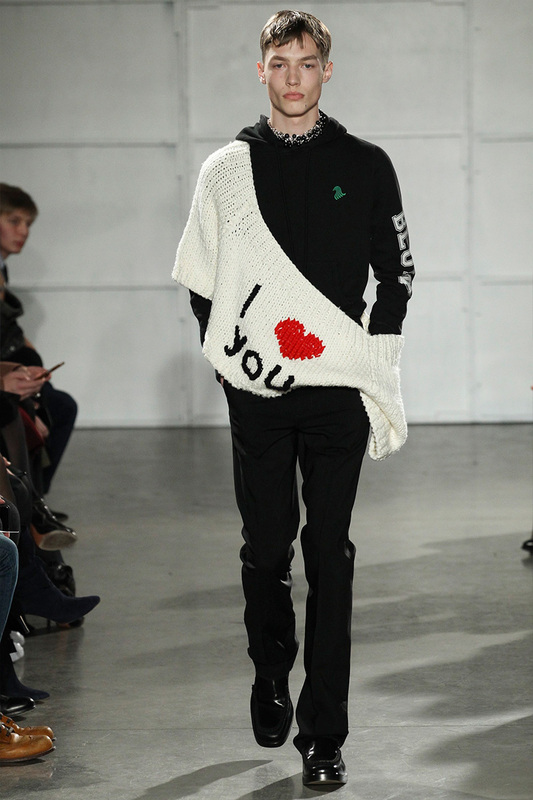 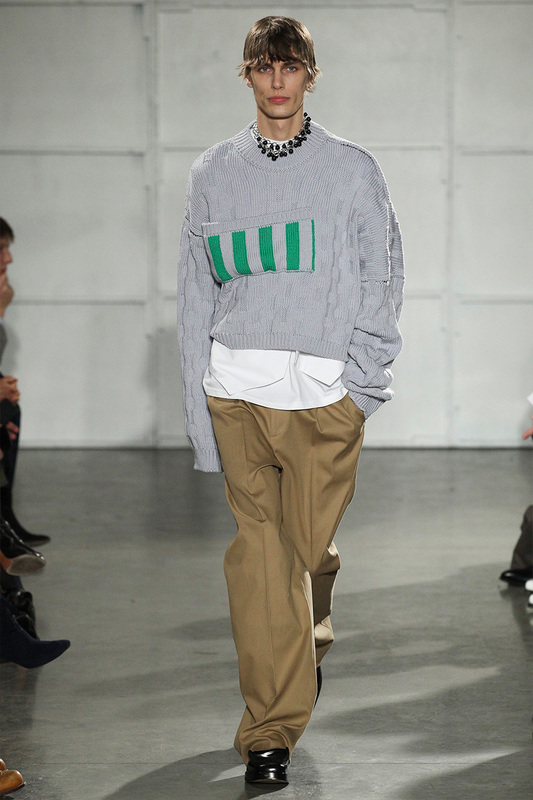 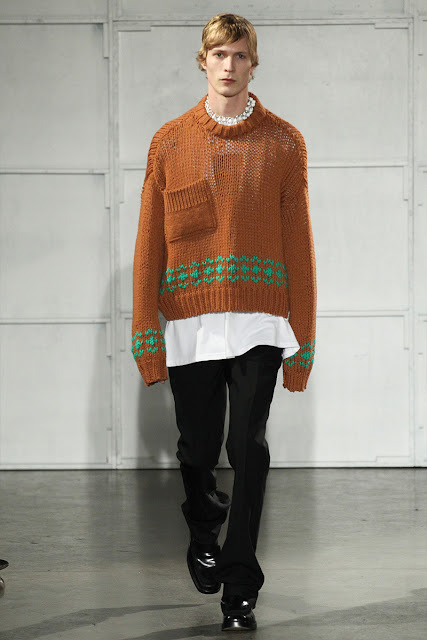 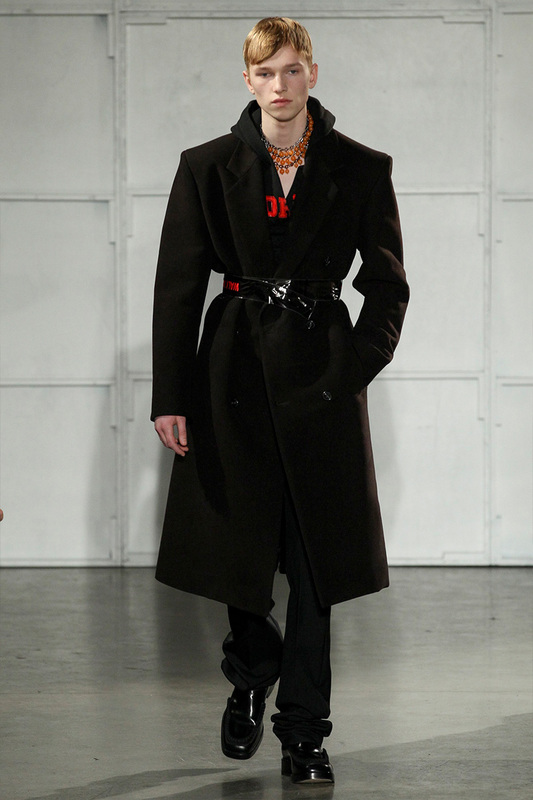 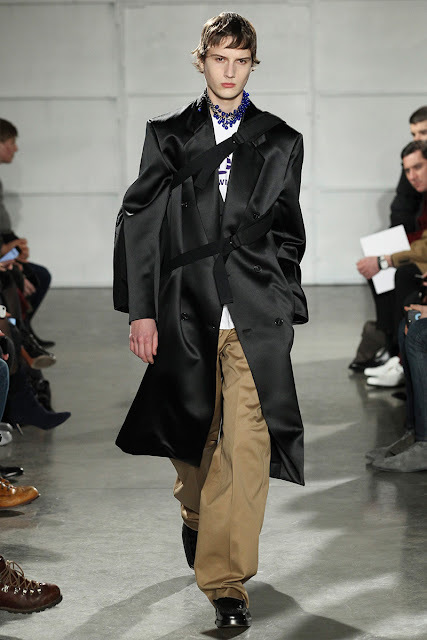 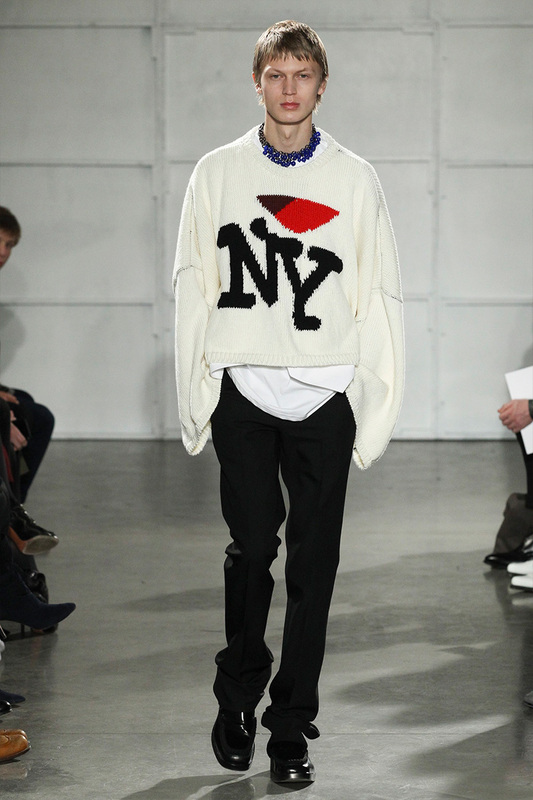 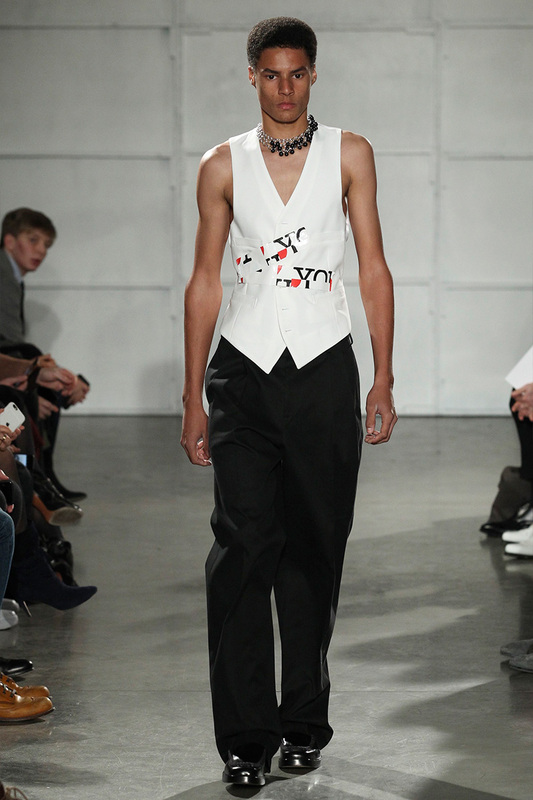 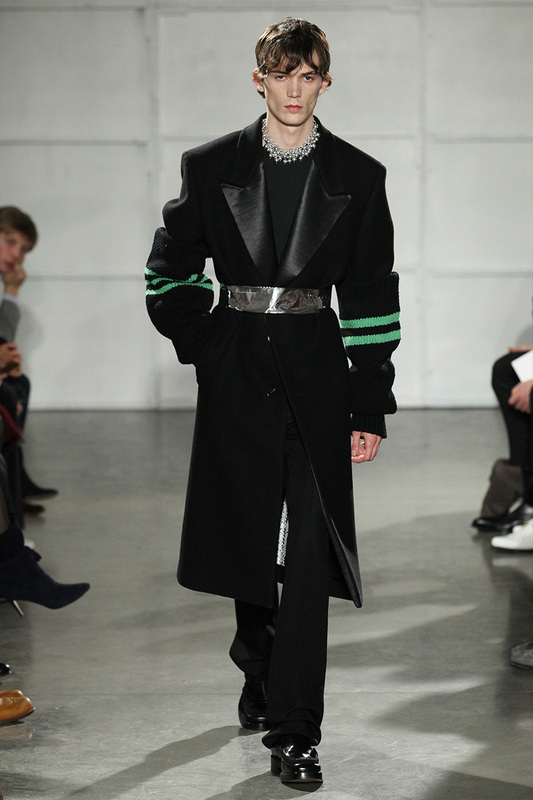 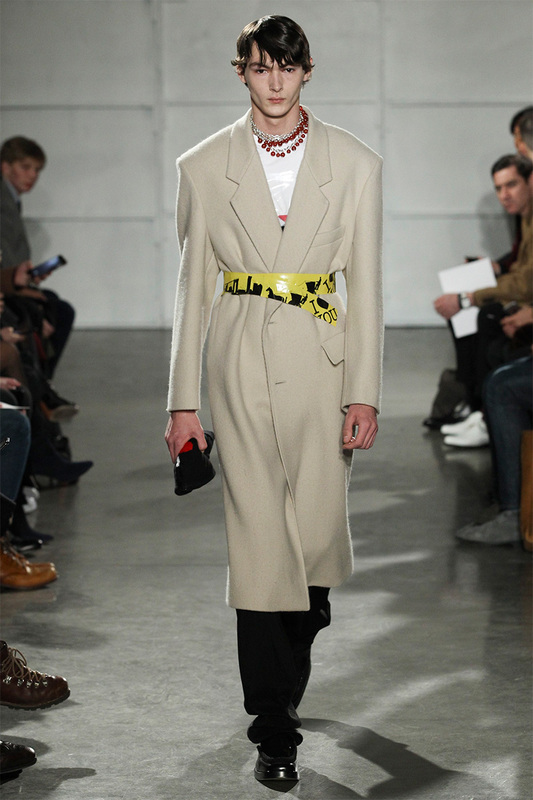 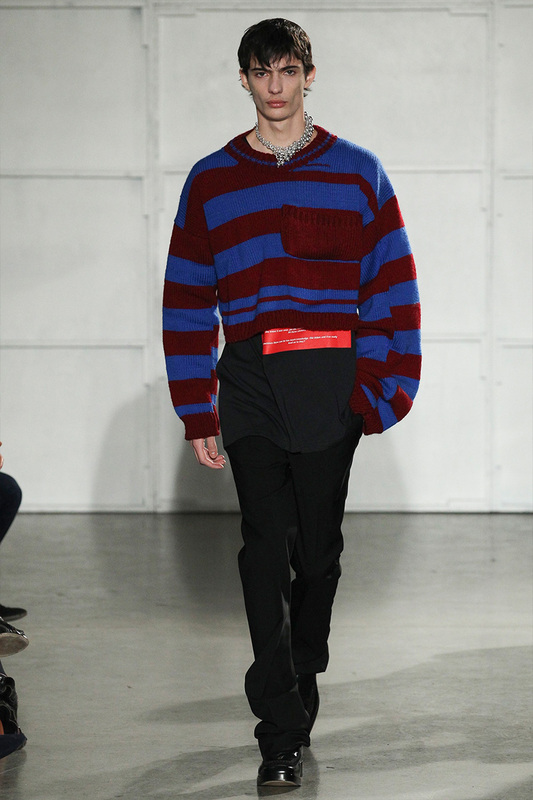 Raf Simons show was the marquee event of New York Men's Fashion Week. 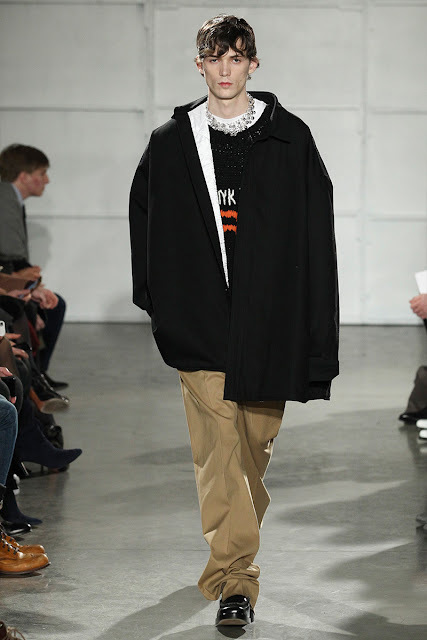 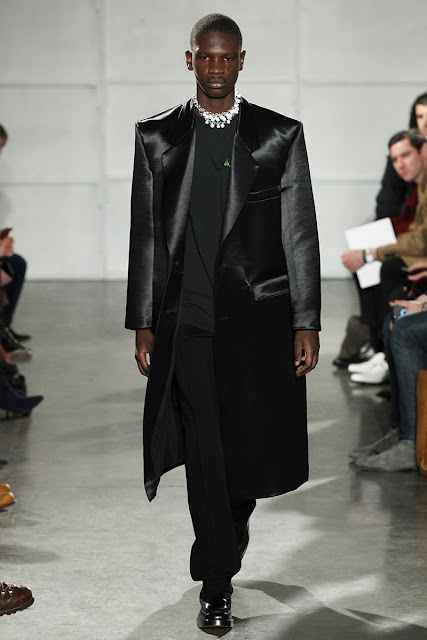 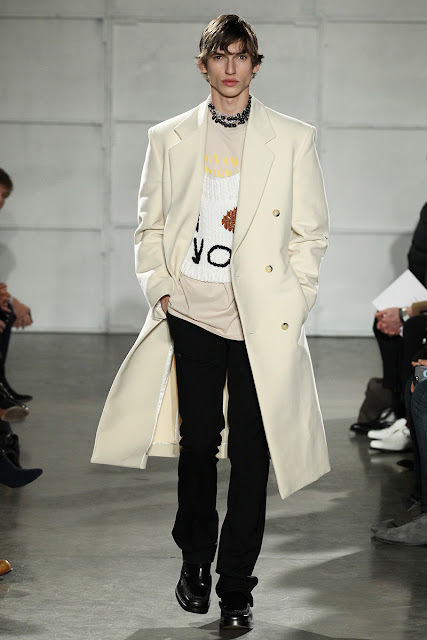 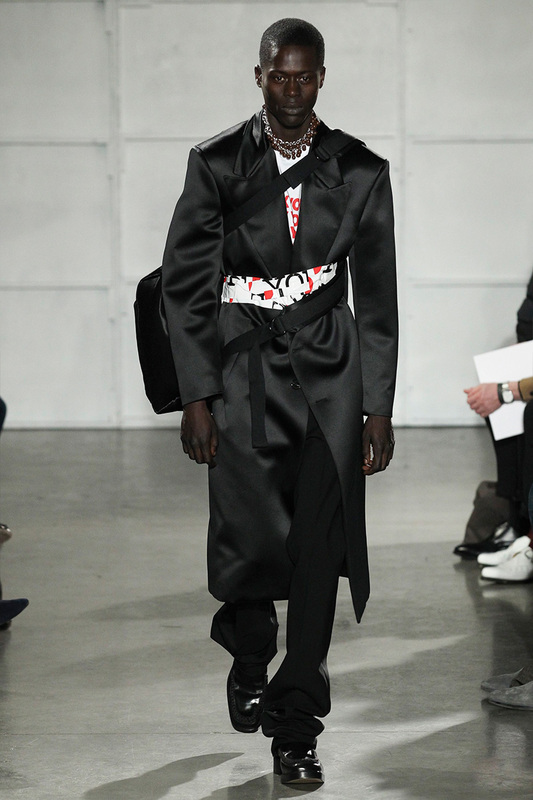 The Belgian designer, formerly of Dior, soon to debut with Calvin Klein, showed his own, eponymous menswear label for the first time in New York. 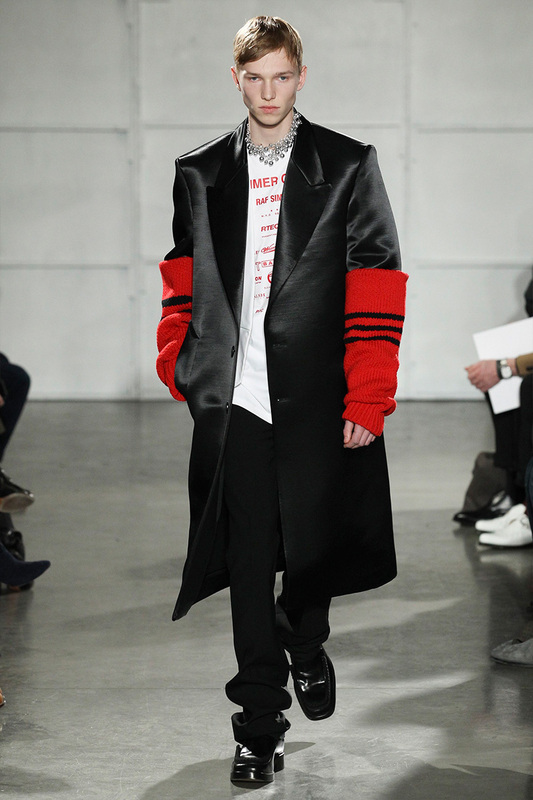 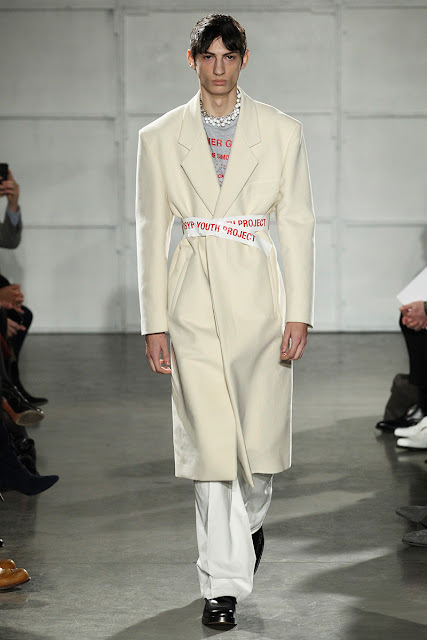 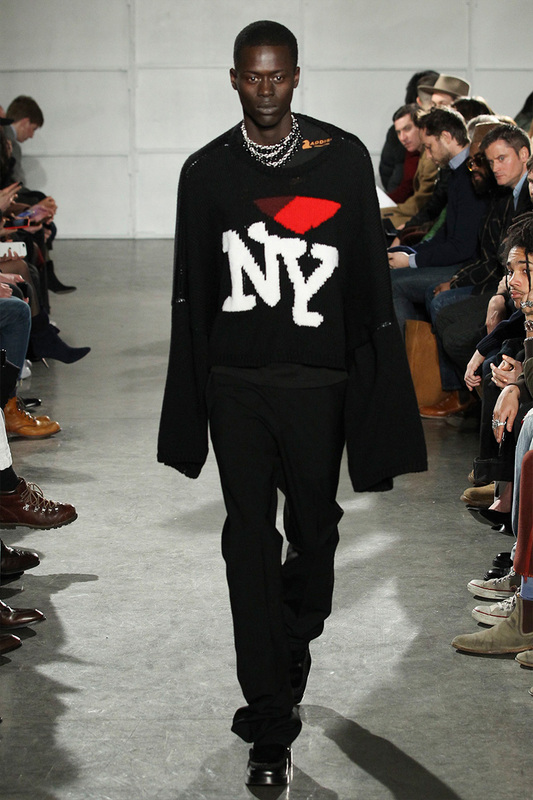 With his 'I Love NY' collection he showed love for New York and expressed on the current political situation that made him think about the potential of fashion as a means of social reaction or rebellion. 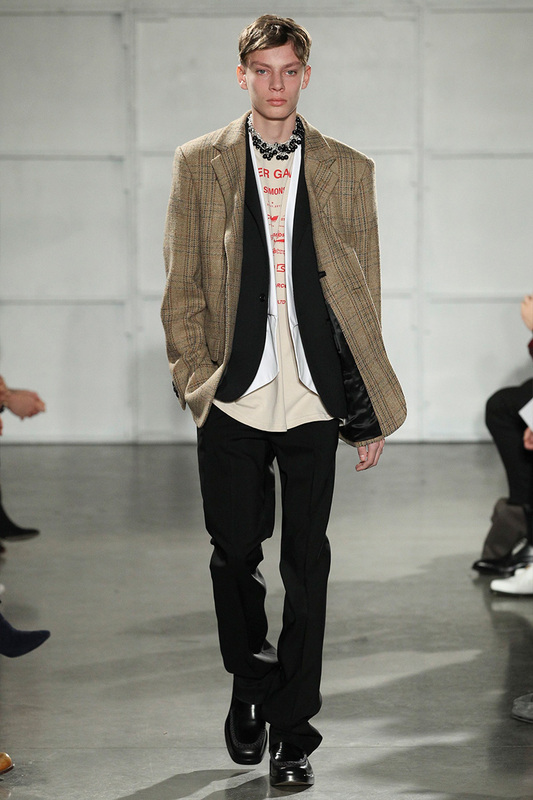 He mentioned thoughts of punk culture in the ‘70s.